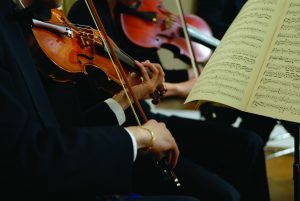 The versatile and virtuosic Bristol Ensemble strings take centre stage in a varied programme that ranges from Dvorak’s lyrical and energetic Serenade for Strings – said to have been composed in only 12 days – and Britten’s youthful and boisterous Simple Symphony, to the exquisitely beautiful Meditation from Thaïs. With its dream-like harmonies and expressive violin solo, this is a treasured gem of a work. Schubert’s Rondo explores a variety of themes, showing off the virtuosity of the soloist and accompanying ensemble.